and on the back has the Family Guy tv title. Our Family Guy hats are incredibly comfortable and made to last. 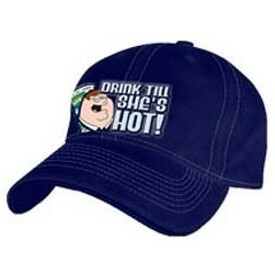 This Family Guy hat is a one size fits most and has an adjustable velcro strap for maximum comfort. If you have questions regarding our Family Guy baseball cap or any of our other Family Guy merchandise, please email us with the product name and number.